We were very pleased that this week the Little Sisters of the Poor in Denver received at least temporary relief from the contraception mandate of the Affordable Care Act. Just recently, I was visiting with the Little Sisters of the Poor here in the Archdiocese of Boston and had a chance to see, once again, the wonderful work they do in caring for the elderly. Now we hear that the courts have granted them relief in their petition. We are very glad and hope that this is a recognition that there are religious freedom issues involved in the health insurance mandates that are being imposed on the country by the Affordable Care Act. 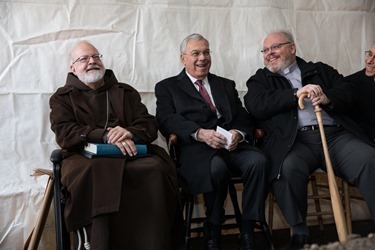 On Monday, at the former Saint Kevin’s Parish at Upham’s Corner in Dorchester, we joined Lisa Alberghini of the Planning Office for Urban Affairs; Boston Mayor Thomas Menino; Aaron Gornstein, the Mass. Undersecretary for Housing and Community Development; Father Jack Ahern, pastor of Holy Family Parish in Dorchester; Deirdre Houtmeyers of St. Mary’s Center for Women and Children; and many others to celebrate the groundbreaking of a project to redevelop the campus of the former parish to provide housing for the homeless and working families. The plan will create 80 units of affordable housing at the site, 25 percent of which will be set aside for homeless families. St. Mary’s Center will provide a number of services to people making that transition. The other 75 percent of the units will provide affordable apartments for people who serve the community, such as teachers, nurses, paralegals and restaurant workers. This is a very important initiative and many of the former parishioners of St. Kevin’s were very pleased that the former parish properties will be repurposed for this mission to serve the community. 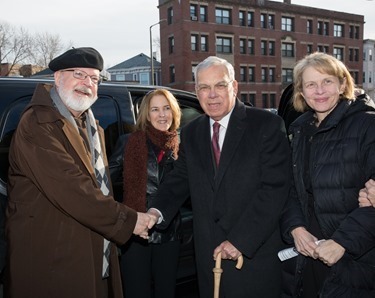 Of course, this was probably one of the last events that Mayor Menino will be attending, as his tenure as our mayor is coming to an end. All those who made remarks at the groundbreaking commended him for his commitment to the city, particularly in the area of housing. In fact, a number of people referred to him as the “housing mayor”. During his tenure, thousands of housing units were constructed in the city of Boston and much of this was the result of his commitment to providing affordable housing within the city. This will certainly be an enduring part of his legacy. On Tuesday morning, I visited the Museum of Fine Arts at the invitation of the Italian consulate. 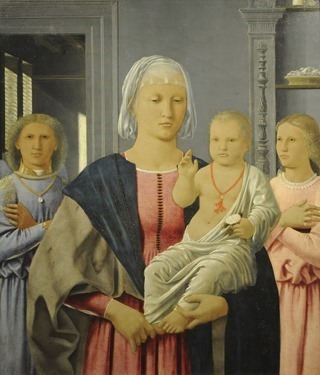 Italian Consul-General Giuseppe Pastorelli invited me to an Italian art exhibit the Senigallia Madonna by Piero della Francesca that was being presented at the Museum of Fine Arts. 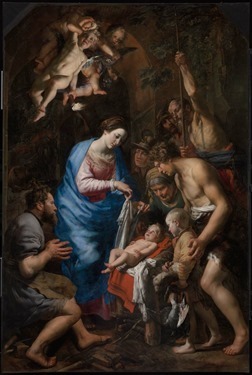 The exhibit was part of the museum’s observance of “2013 —The Year of Italian Culture in the United States”, sponsored by the Italian government. 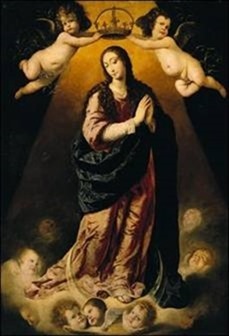 The painting is of a very beautiful Madonna which is ordinarily at the Galleria Nazionale delle Marche in Italy. 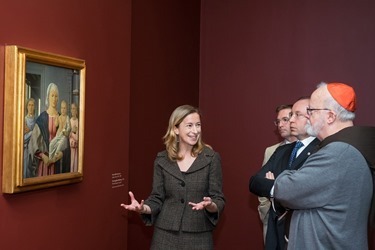 Consul Pastorelli and his wife accompanied us on the tour and a number of the staff from the MFA were on hand to explain the history and background of the religious art, particularly this painting that is on loan from Italy. Of course, learning about the symbolism and technique the artist used was very interesting. However, perhaps just as interesting was the story of the painting’s theft in 1975 and its recovery the following year. The story sounds a bit like a Hollywood movie: Thieves scaled scaffolding outside the museum where the painting was on display, waited for the guards to pass on their rounds, cut the paintings out of their frames and climbed out the window. The Carabinieri, the Italian national military police force, have a special unit that is in charge of protecting the artistic patrimony of Italy, known as the “Art Squad”. To get the painting back, members of the squad posed as rich art buyers in Switzerland and eventually recovered the painting in a dramatic fashion. You can watch a video about the Carabinieri Art Squad here. It was also interesting to learn about the ongoing collaboration of the MFA and the Italian government. The museum, in investigating the provenance of many of their archaeological and artistic objects discovered that, in a number of cases, they did not have clear lines of proper ownership. This means, of course, that a work of art could have been stolen or smuggled out of Italy and so they returned those objects to the Italian government. This has initiated a very close relationship between the Italian government and the Museum of Fine Arts. 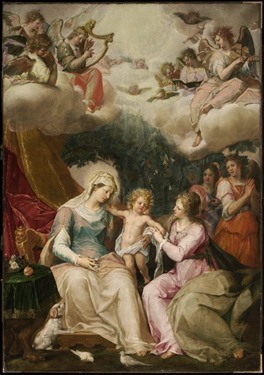 As a result, the Italian government has arranged for many works of art to be made available on loan to the museum. That night, of course, was New Year’s Eve. 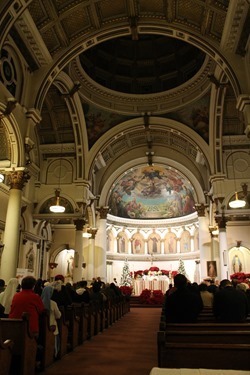 As has been my custom in recent years, we gathered at St. Leonard’s Church in the North End for a Holy Hour with rosary and exposition of the Blessed Sacrament, followed by a Mass to end the old year and begin the new. Father Matt Williams of the Office for the New Evangelization of Youth and Young Adults and Marianne Luthin of our Pro-Life Office helped organize the event. I was very pleased to be joined by number priests, seminarians and religious, as well. 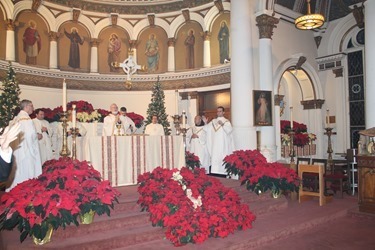 It was a very beautiful celebration and we are very grateful to Father Antonio Nardoianni for hosting us once again. 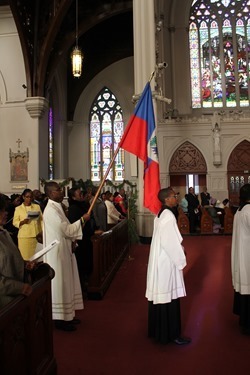 January 1 is, of course, the Feast of Mary Mother of God but it is also Haitian Independence Day. 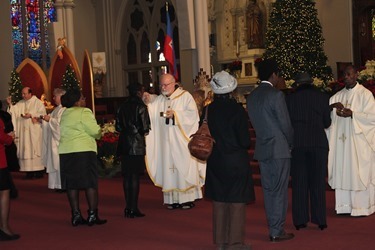 So, on New Year’s Day, I celebrated the noontime Mass for the Haitian community in the Archdiocese of Boston. 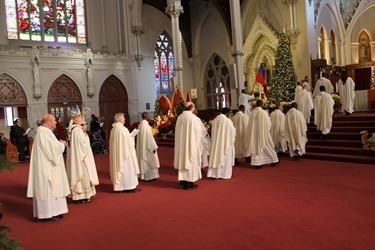 The Mass was celebrated in Creole and we had many Haitian priests concelebrating with us. 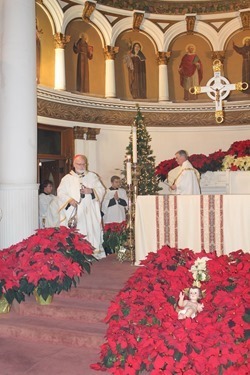 The Mass lasted about two-and-a-half hours and ended with the Te Deum which is the traditional hymn of Thanksgiving. 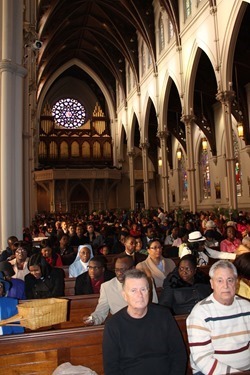 We were very pleased that Marjorie Alexandre Brunache, the Counselor Minister for the General Consulate of Haiti in Boston was able to be with us and address the people at the end of the Mass. Obviously, one of the concerns of the Haitian community is the situation of Haitian immigrants in the Dominican Republic and so we offered special prayers for them. 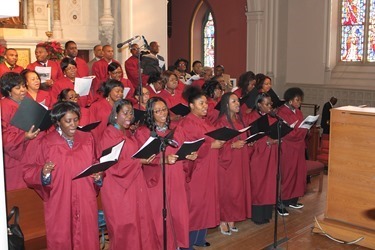 The celebration ended with the singing of the national anthem of Haiti.